You have 3884 characters. Don’t forget to add important and relevant keywords in your description to improve your iTunes app page and optimize your SEO. Revolutionary Spritz reading method. Read twice as fast with thousands free eBooks included in the Litz store or use Pocket, Instapaper, and the built-in Web Browser. Prepare for total addiction! Set goals and import compatible PDFs, Word documents, ebooks and Text files from iCloud, Dropbox, Google Drive, Box, Mail, Safari or iTunes Mac application in a gorgeous minimalist interface with intuitive gestures. Read up to 1000 words per minute. - Spritz Rapid Serial Visual Presentation allows for the reading of unlimited text in a limited position. 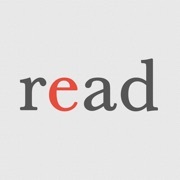 By focusing on the specific red letter your eyes make less effort to read, thus increasing both reading speed and comprehension. - Guided reading algorithm presents the current word being litzed on the background in the original book context. Litz public domain classic books right from the Litz store. Read great authors chef d'oeuvres from Shakespeare to Baudelaire. Create an account and download more than 5.000 free eBooks in english, french, german, italian and spanish. *"As a bit of feedback, I love the app, and it's really helping me with my studies at the moment..."* Christopher. *"Dear developers, great app! Really has lots of potential. Great extra features in latest update. Carry on! "* David. *”Hi, I work with pupils with visual impairment, many of whom I think would really benefit from using this app. [...] As I'm sure you can appreciate, when reading this position needs to be continually readjusted as they read each word. Your app may help to overcome this.”* Rebecca. - Articles section with Pocket, Instapaper and Web browsing. Use your Litz account to synchronize all your articles on all your devices. Retrieve articles from the built-in browser and add favorites. - Import non DRM protected files from your iBooks account using iBooks on your computer. The process is described inside the application.